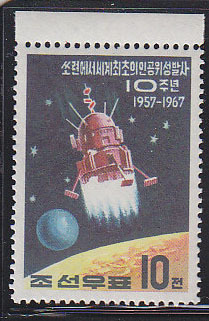 2344 ** NORTH KOREA (1967) Sputnik 10th anniversary*. Unissued stamp. KSC No 783F. Scott catalog $1500. 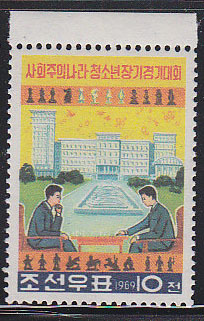 837 ** NORTH KOREA (1969) Youth Chess Tourney*. Unissued stamp. KSC No 894. Scott catalog $1000. 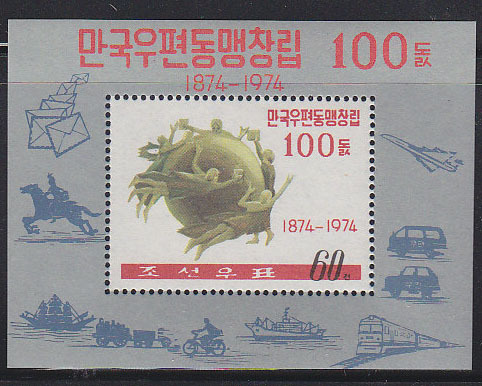 685 ** NORTH KOREA (1971) Butterflies*. 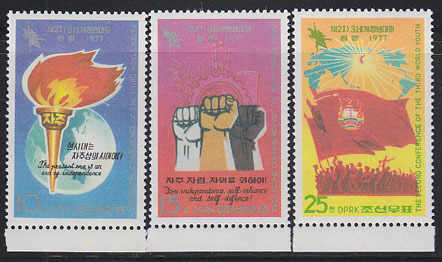 Set of 3 unissued stamps. KSC Nos 995-7. Mentioned in Scott with catalog value of $2500. Very rare! 1499 ** NORTH KOREA (1971) Improving standard of living. Set of 7 unissued stamps. KSC Nos 1022-8. Scott catalog $5000. 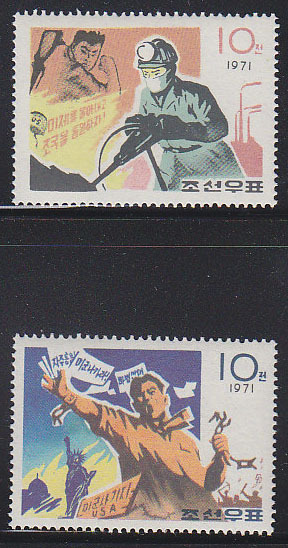 1792 ** NORTH KOREA (1971) Miner with drill*. Korean reunification. Set of 2 unissued stamps. KSC Nos 1019-20. Scott catalog $750. 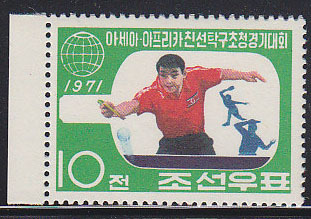 2564 ** NORTH KOREA (1971) Asia-Africa Table-Tennis Games*. Unissued stamp. KSC No 962. Scott catalog $750. 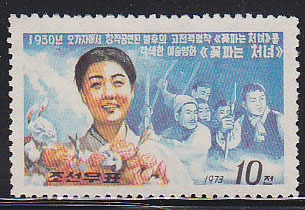 923 ** NORTH KOREA (1972) "The Flower Girl"*. Unissued stamp. KSC No 1075. Scott catalog $2000. 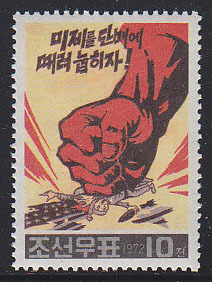 1983 ** NORTH KOREA (1972) Fist slamming citizens*. Unissued stamp. KSC No 1112. Anti-US Imperialism.. Scott catalog $750. 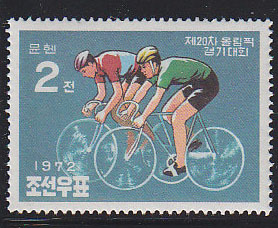 2456 ** NORTH KOREA (1972) Cyclists*. Unissued stamp. KSC No 1068. Munich Olympics.. Scott catalog $750. 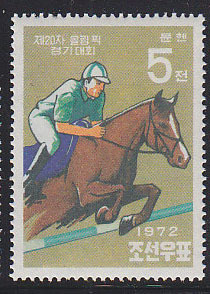 2457 ** NORTH KOREA (1972) Equestrian*. Unissued stamp. KSC No 1069. Munich Olympics.. Scott catalog $750. 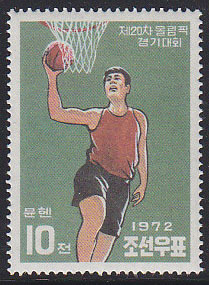 2458 ** NORTH KOREA (1972) Basketball*. Unissued stamp. KSC No 1070. Munich Olympics.. Scott catalog $750. 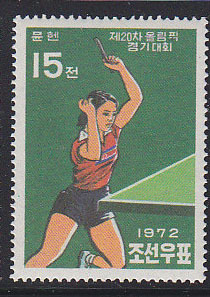 2459 ** NORTH KOREA (1972) Women's table tennis*. Unissued stamp. KSC No 1071. Munich Olympics.. Scott catalog $750. 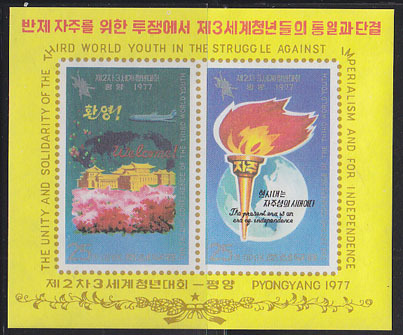 2815 ** NORTH KOREA (1974) UPU Centenary*. Unissued S/S. KSC No 1258. Scott catalog $750.